Can nuclear energy answer global power needs? The catastrophic accident in March at Japan's Fukushima Daiichi nuclear plant has sparked new debate in the United States and elsewhere over the role of nuclear energy in electric-power generation. Spurred by concerns that the burning of coal and other carbon-based fuels is causing climate change, Democrats, including President Barack Obama, and some environmentalists have joined a long-established Republican consensus that nuclear power belongs in the nation's energy mix. But expansion of nuclear power faces big obstacles, including the high cost of building new plants and public qualms about health and safety. Largely because of cost issues and investors' fears of liability, expansion of nuclear power in the United States has virtually stopped since the 1970s. 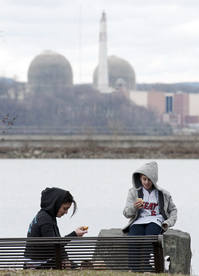 Meanwhile, critics charge that the Nuclear Regulatory Commission is too lax about safety.